Jon Stewart steps away from his role as host of the satirical news program The Daily Show to direct Rosewater, a fact-based drama of moderate interest and skill. 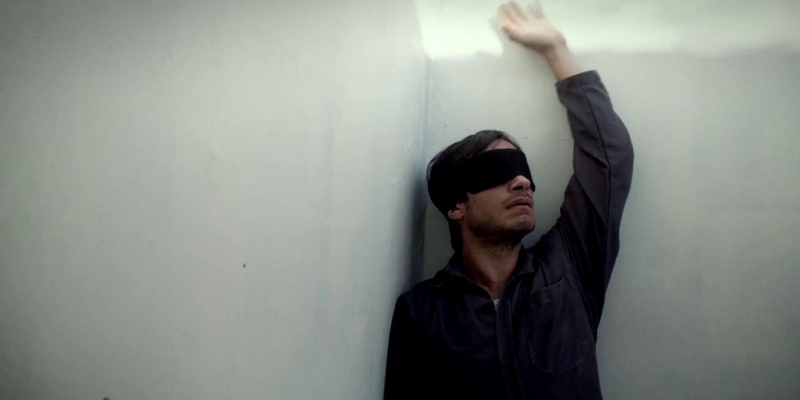 Iranian-born reporter Maziar Bahari (Gael García Bernal) returns to his homeland to cover an election, only to be imprisoned and interrogated for 118 days on suspicion of being a foreign spy. Stripped from the headlines, Rosewater is a suspenseful account of a real life story. Lead by a performance from Bernal, who’s as adept as ever, the film picks up considerably in its latter half. Here, it morphs into a taut two-hander, where captor (Kim Bodnia) and captive duke it out as tensions mount, issues come to a head and dark humour bubbles below. It’s clear that Stewart has an eye for the material, even if his directorial style rarely amounts to much (the flashbacks nothing more than horribly clunky detours). Rosewater occasionally edges into superb territory, but it’s too stuck in its own world to remain there.